Unfurl the sheet of pastry and then cut it into 4 squares. Cut each square diagonally to give 2 triangles (they will appear quite small). Put the triangle with the wider part facing you and the point away from you. Break off small pieces of chocolate...look at this rich, dark chocolate I used, yum... Place it about 3/4" up from the wide end nearest you. Carefully roll from that chocolate-loaded end toward the point of the triangle. You should now have something resembling a straight croissant. Seal it lightly with your fingertips and curl it around into a crescent. Mine are kind of wonky looking...but it didn't matter in the end. Place the chocolate croissants on a lined baking sheet and paint with the beaten egg. Bake for 15 minutes until golden and puffy and exuberantly, if miniaturely, croissant-like (I love listening to Nigella describe food). Next time I'm quadrupling the recipe and filling half with chocolate and half with almond paste...simple baking genius. I think I have a girl-crush on Nigella. These are my dad's favorites so I'll have to surprise him one day with this recipe. Thanks! Oh my...those look addictive!! I picked the same thing, but realized after the thaw that it was phyllo dough instead of puff pastry. Mine are more like chocolate cigars, but tasty. I can imagine that these were delicious on puff pastry. I bet they were gone in a flash. Simple and delicious. Looks great. Wow, they look awesome! Look at all that yummy chocolate inside. mmm. i am a total sucker for chocolate croissants. in fact, i'm eating one now :) these look amazing! Nobody is able to resist such wonderful chocolatey croissants! Heather, thumbs up for you! talk about poppin' fresh! oh and I got the salt - thank you thank you thank you - that was so thoughtful and a very nice surprise! They look fabulous. I'd love find these fresh out of the oven in my kitchen. You are a genious ! And I still have half the daring baker's pastry !!!! I love chocolate croissants. I once got crazy over chocolate croissant before and I'd eat it everyday before going to work..
OUr local croissants are around $2 each! Yikes! Going to definitely try this. You have definitely enticed me. 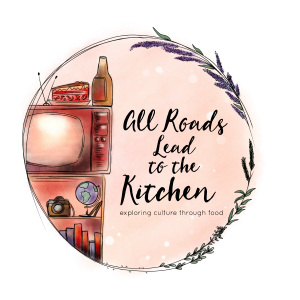 Quadrupling the recipe! LOL That's my girl! I love Nigella's recipes and this is no acception. your choco croissant look to-die for! Perfect! How many did you eat in one sitting? I make these too with Nutella. So amazing! I'm gonna make these with Nutella!!! mmmmm Chocolate with Cacao Nibs!!! AWESOME!!! My mom used to do this shortcut croiassants filled with jam. They would always disappear in no time. Love them. Got to try the almond filling. Oh, I saw almond cream/spread in a store the other day, like Nutella, but white. I bet it would be great with this. Those are awesome! What a great idea for quickie croissants. I will make these for Mel, she'll love them. Those look so good! I have never even thought of making my own croissants, I know my hubby would love these, this what he always orders in the bakery! I love croissants. I usually get a chocolate or almond filled. Simple easy an, of course, deliciously good. I may just have to make some this week. Wow, these are little pretty delights! 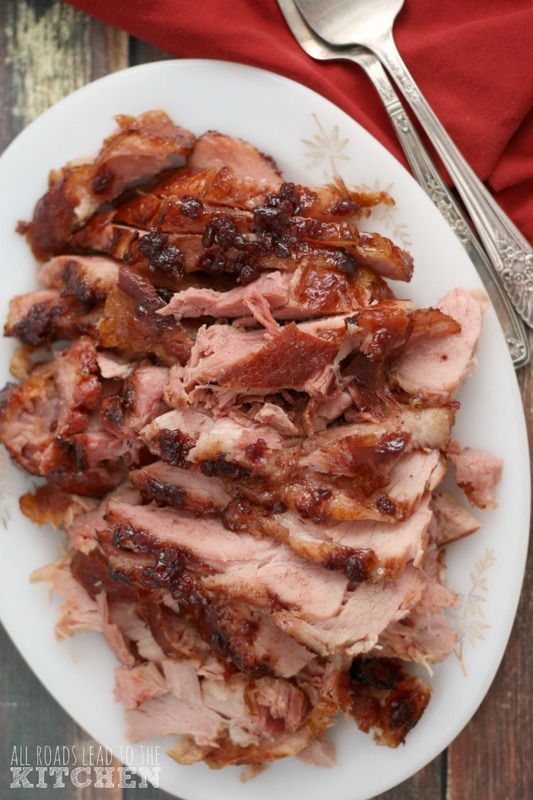 Simple, yet full of flavor and texture! There is a little French bakery in town that makes wonderful chocolate croissants. I've never been brave enough to make my own. Thanks for the fabulous recipe! They look awesome! OMG I'm loving this - can't wait to try this out!!! Please move next door to me so you can keep me fat with those croissants? LOL about "Girl Crush" You are too funny and so real. I bought puff pastry for the very first time in my life, not kNowing what to do with it. Now I do. I am so making these. These look over the top FABULOUS! Thanks for the pix. I don't think I could've made them without the tutorial. Well done!!! I didn't realize you can make croissants from puff pastry! I love to make puff pastry so will definitely give this a try. By the way, YES, Pambasos! That's it!! You are amazing!! Wow! What's not to love about these? I think I've died and gone to heaven. So delicious and so simple! And I love your new look - it may not be new anymore, but I've been reading in my Google reader and didn't see the new graphics!! 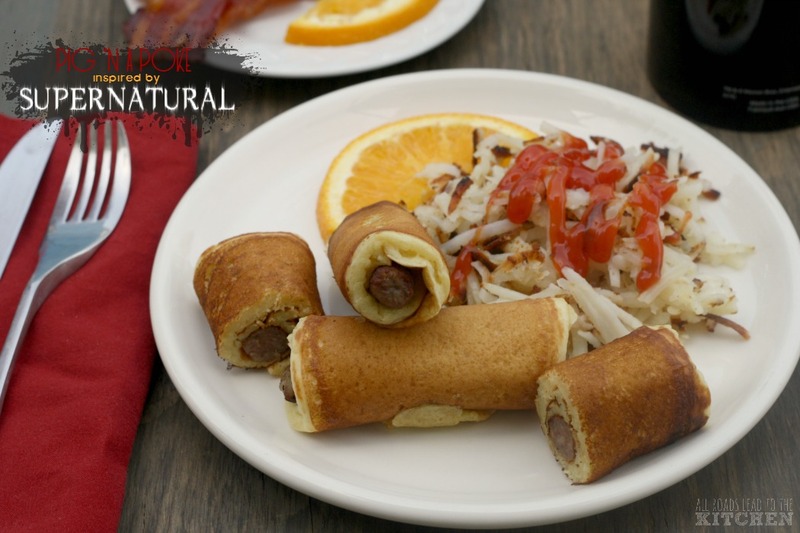 These really look delicious and as things go fairly easy to make. I really like this recipe. these are little pieces of heaven! i could probably sit back and have twenty easy! looks so good. want one RIGHT now. Heavenly delicious!! I love the almond paste idea!! I've used puff pastry to make danishes, I don't know why I never thought to make croissants with it- duh! What a GREAT idea!! I think I'd like these with toffee bit chocolate. These good become a favorite with me! Will give them a try. I think I can, I think I can, I think I can handle this. You know that's quite a statement for me!!! Thanks for sharing, Heather. They look scrumptious!!! 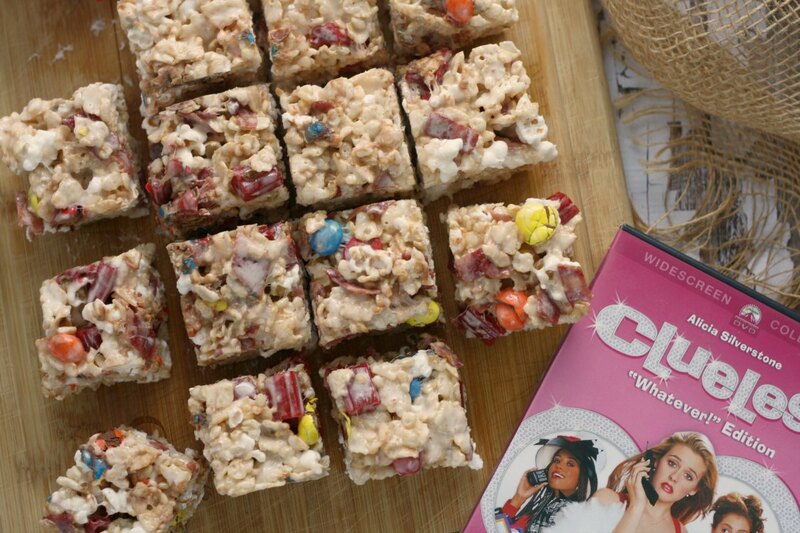 OK--these look heavenly! 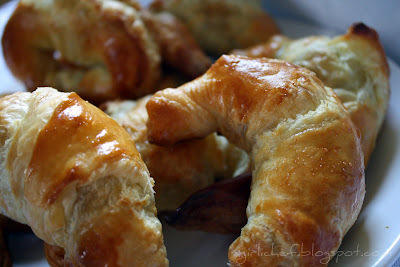 I have a bunch of puff pastry (back stock for Ina recipes) so I may have to try these. Gorgeous! I've seen this recipe before and it always seems odd to me. 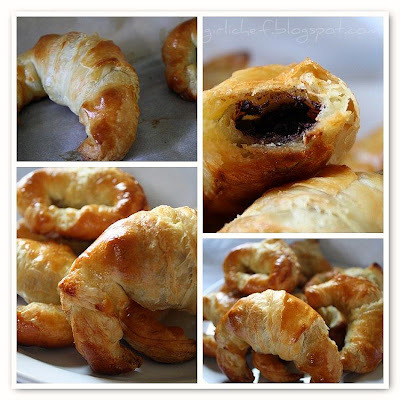 I don't picture chocolate with bread, but chocolate with puff pastry sounds delightful! These were my favorite treat in Italy. Fresh out of the oven with Nutella oozing out and dripping on my shoes. Totally worth it! They also had a dusting of powdered sugar on top. These look awesome! Oh dear....dark chocolate wrapped in layers of buttery deliciousness? Sign me up! Looks soooo good! Oh. My. God. These look Heavenly! I bet they were soooo delicious! Those are definitely drool worthy. When I first got this book & was reading through it & saw this recipe, I thought it was a stroke of pure genius on Nigella's part. Of course, I have yet to make these! Mmm croissants. I would be hard put to choose between chocolate and almond. Good idea to make both next time. A side-by-side taste comparison may be in order. That dark chocolate looks so delicious as does the finished product! I think I am inhaling calories from here and they taste so good. This is such a good choice and you are so right, Nigella has some great recipes. 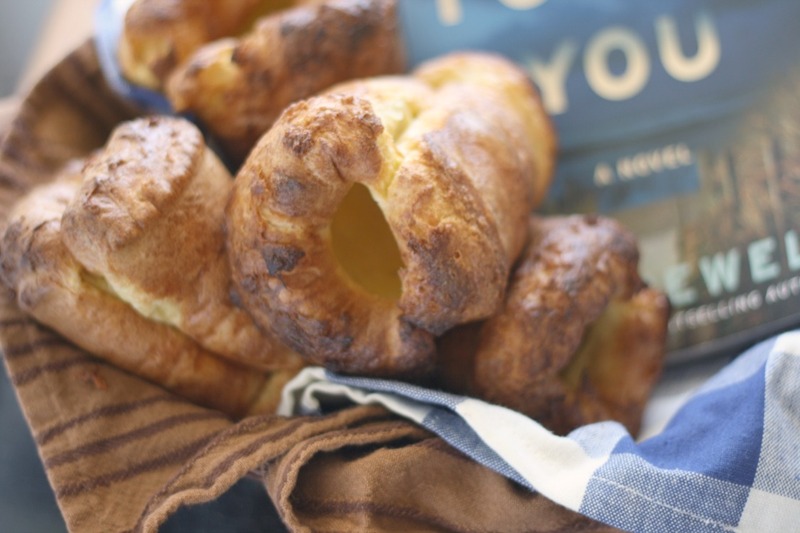 These croissants are just ideal with a cup of tea. I like the idea of chocolate filling in them! Those are great - I made those in Nigella quest but yours look better. I forgot to do an egg wash and yours are so browned. Lovely! Chocolate croissants?!?! I don't even know where to begin, they sound amazing! You make them sound so easy. I think I'm in heaven. 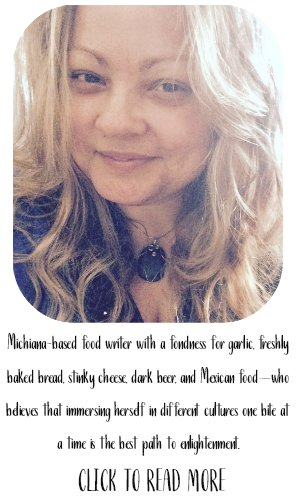 I can't think of anything more delicious than this recipe - seriously! These are most definitely going on my must try list! OMG, so yummy looking! 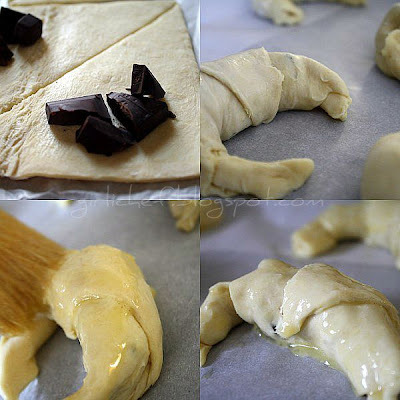 I've tried crescent rolls w. chocolate chips, and dipped in Nutella, but this looks to die for! You must make those!!! And post them... and send me some!! !